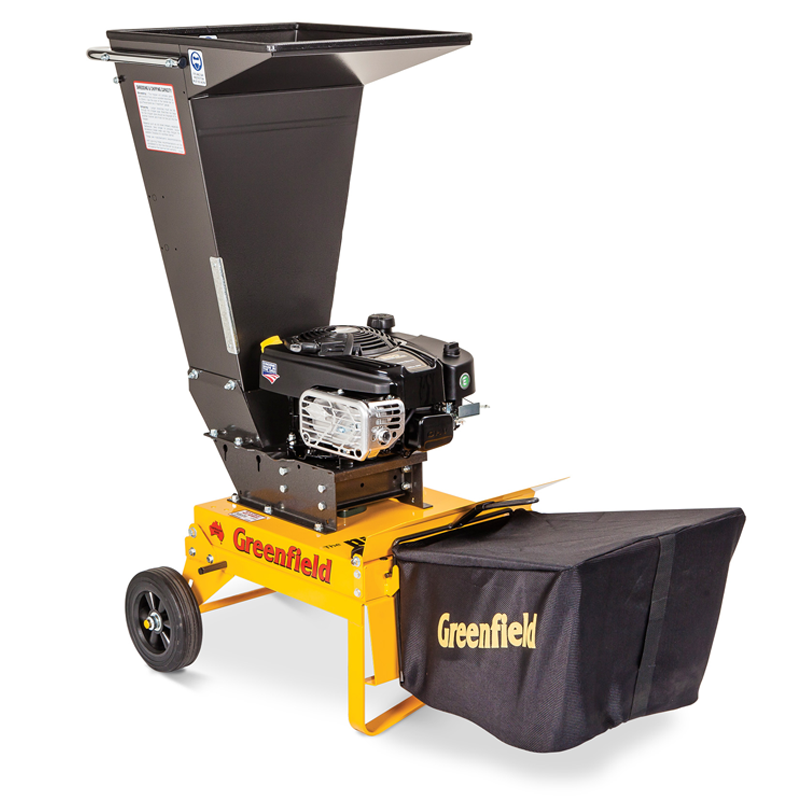 Greenfield Shredders are Aussie made in Queensland boasting the qualities of a reliable, strong and simple shredder/chipper. 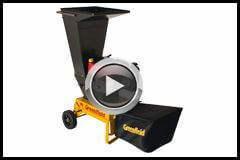 The Greenfield shredder range will turn your garden waste, paper and manure into mulch for your own use. 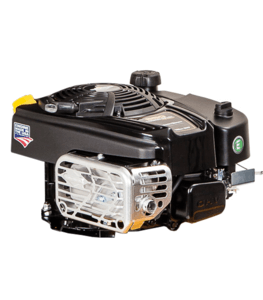 Powered by 850 OHV Briggs & Stratton which will make light work of your green waste. Its robust design with no belts or flail means nothing can wrap itself around the blades causing unwanted headaches for the operator. The superior cutting disk system can cut waste up to 20mm thick down the main chute. 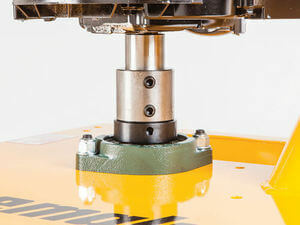 There is also an additional branch chute on the side of the machine which can shred up to a 60mm branch! 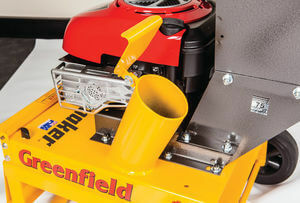 The Greenfield chipper range can be used with or without the catcher. Equipped with a zinc coated deflector, if you choose not to use the bag the mulch will be deflected straight onto the ground. The Aussie made Greenfield shredders are a top quality product made to last and built to handle the Australian environment. Need to buy a shredder? Buy a Greenfield. This disc system showcases simplicity at its finest removing the troublesome flail system so no stringy bark of waste can wrap itself up in the machine. This is then complimented by the long lasting double edged carbon steel cutting blades providing a superior mulch. This blades are reversible and can be sharpened multiple times! 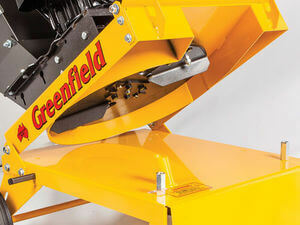 The Greenfield chippers are built to last which is why they are engineered with optimum crankshaft protection. It is bolted securely to the machine via a 35mm, 1350kg load rated bearing unit making this machine super strong to handle whatever garden waster is being processed. By simply undoing two knobs on the front of the chipper you can instantly open the clamshell to reveal the blade system underneath making cleaning this Australian made chipper a walk in the park. This massive chipper tube feeds branches straight into the rotating blade system allowing you to mulch larger branches up to 70mm in diameter! With the hopper on top taking care of the loose garden waster and twigs/ sticks up to 20mm in diameter. This Greenfield Chipper is fitted with the 850 series commercial Briggs & Stratton engine which is more powerful than the smaller 725EX engine found on the cheaper Greenfield shredder. The advantages of this bigger engine is it has more power to mulch thicker garden waste and can do it in a smaller period of time. This engine is built to do a lot of work, so if you have a large amount of use for this machine maybe the bigger engine is just what you need. 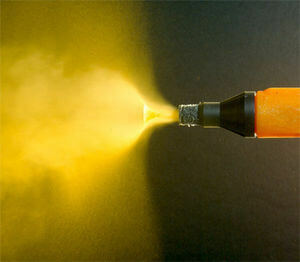 The strong and robust steel frame is finished off with by powder coating it to ensure its long lasting. All Greenfield products are hand made in Queensland to suit the harsh Australian environment. So if you want to buy with confidence buy a Greenfield.